If you're making a Marsala sauce or another recipe that calls for Marsala wine and find that you've run out of this ingredient, you may be able to substitute with another wine, sherry, or even brandy. The key is knowing when and how to substitute and how to mix the ingredients so they can best mimic the flavors of this distinctive wine. Marsala has a unique flavor, so according to Wine Intro, many traditional cooks feel that substituting another wine or combination of ingredients can materially change the flavor of a dish. However, you can't always have the real thing on hand, and there are times you just need a quick alternative. Try one of these recipes for a substitute. If you have white grape juice and any type of brandy around your kitchen, you can try this easy substitution. Mix the ingredients thoroughly and continue making your dish. If you're more likely to have some dry white wine on hand, that also makes a good alternative to Marsala. Since Marsala is actually a brandy-fortified wine, this substitution comes close to the original. The flavors in sherry aren't nearly as complex as Marsala, but for cooking, it will do as long as Marsala isn't a main ingredient. If you're substituting with sherry, make sure it is actual sherry and not cooking sherry. 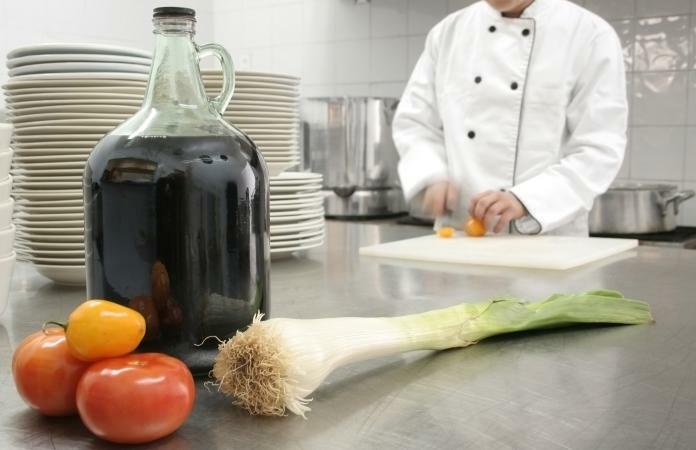 Cooking sherry has too many additives and a high sodium content that drastically affects the flavors of the dish. If you taste the sherry and find that it isn't quite right on its own, simply mix it with an equal part of sweet vermouth to create a substitution. Madeira: This wine has a lot of the same flavor characteristics as Marsala so it will taste similar, though not quite the same. Port: Depending on the type of Port you buy, this substitution could be good but a bit pricey. 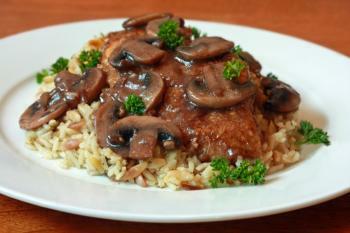 Pinot Noir: According to a professional chef on Chef Talk, Pinot Noir can make a good Marsala substitute. Although Marsala is especially popular as a cooking wine, some people also like to drink it as a dessert wine. It pairs especially well with goat cheese, chocolate, nuts, and of course, chicken or veal Marsala. If you are serving one of these dishes but don't have any Marsala wine on hand, you could try Port wine, sherry, or Madeira. These wines display a similar sweetness and complement some of the same foods. Although there are many good substitutes for Marsala wine, you may find that you can tell the difference in the flavor of your dish. If you find that you make Marsala chicken or another Italian dish often enough, it might be worth getting a bottle of Marsala to keep on hand. Because this wine is fortified, it has a higher alcohol content than non-fortified wines. This translates to a longer shelf life, making it ideal for storage and cooking.